Your business is only as reliable as your fleet! Our goal is to reduce downtime for your car, light duty truck, & van fleets. As a business owner or fleet manager, your profits demand that you keep your repair & maintenance costs as low as possible while keeping the quality of repairs & fleet reliability standards high. 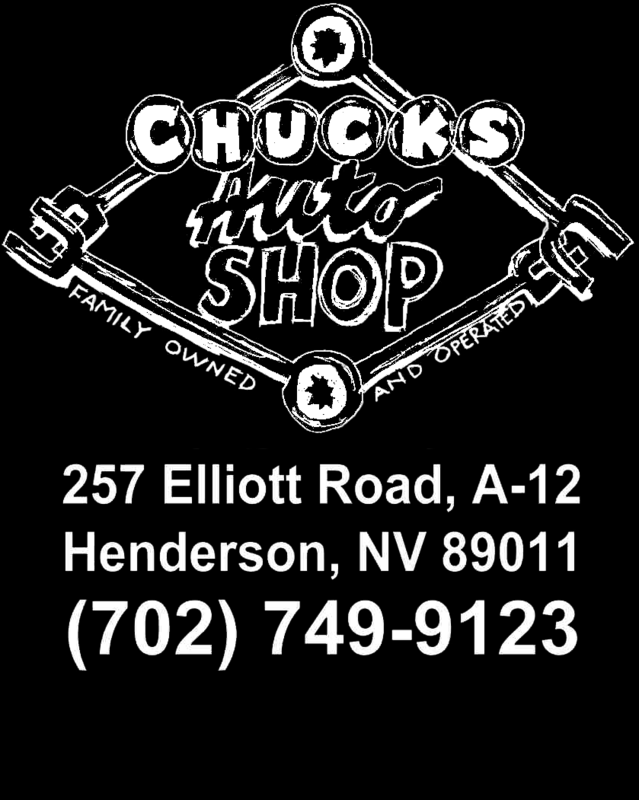 CHUCK'S Auto Shop understands just how important your fleet is to your business, & how critical it is to keep your fleet moving like it's supposed to. As your vehicles come into our shop, each one undergoes a comprehensive inspection to determine both the current mechanical condition as well as the current level of factory recommended maintenance. When completed, a detailed schedule of recommended maintenance & repairs designed to keep your vehicles running will be reviewed with you. Experienced in providing regular & customized fleet maintenance, our ASE Certified technicians will locate and repair problems quickly, assuring the highest quality repairs. Contact us at (702) 749-9123 to discuss how our Fleet Service Program can help save you money, while keeping your vehicles on the road and out of the shop! Enter your own copyright or footer content here.